This was certainly not a story that we expected to see pop up on the news wire, not because it isn't an interesting story, and something that we'd like to know about, but because we are now almost 5 years into the life of the iPhone, and only now is the FTC asking for details on the deal that made Google the default search on the iPhone (and all iOS devices eventually). The subpoena from the FTC wants to know if Google got any sort of preferential treatment in the deal, and the terms of the deal will be part of the FTC's ongoing antitrust inquisition into Google. According to sources from AllThingsD, there have been other manufacturers also questioned about the use of Google search on mobile devices. This is all part of the ongoing investigation into Google's possible monopoly in the search market. Of course, Google only holds about 66% of the search market share in the US, and traditionally monopolies must hold over 70%, which Google hasn't done in some time. Still, the mobile space is booming right now, and between Android and iOS, Google does hold quite a sizable chunk of the defaults on mobile browsers. We've always been curious about the details of the deal that made Google the default on the iPhone (and kept it that way even after Android continued to take away Apple's market share). Maybe we'll get to find out soon. Sounds like Microsoft and Apple are working together lately trying to take down Google. When Google made this deal with Apple, Android wasn't ever mentioned. Now Android is taking over Apple and Microsoft have been talking with one another on how to exploit Google and Android for whatever they can. Just look at all the patent problems and lawsuits. You must be a psychic. So, because the government is investigating Google, and the government asks Apple for information, that means Apple and Microsoft are working together to take down Google? I seriously cannot understand the logic. yeaaa... ??? "google" is a verb alternative for "search" the way that people use "iphone" to mean "smartphone". they have the market share because in the plebeian's mind they "are" the go to stop for search. They can look all they like, but only an idiot couldnt surmise that if Apple had a viable alternative to Google search that wouldnt piss off the majority of its user base, SJ would have gotten rid of it long ago. Its there because the users demand it. ...so therefore Apple and Microsoft are working together to bring down Google???? I don't see the logic of your rebuttal to Michael's post! Pretty sure he was agreeing with me by making a parallel point. Michael is correct, i was making a parallel point to bring a little more logic to the post. Short and sweet. If apple had a viable search alternative to google search, they would be using it. Steve Jobs wanted to burn Android to the ground. The less "google" items on the iphone, the better as far as he was concerned, as its all branding that reminds people of Android. There was once a rumor that they were going to switch google with bing, but there was a huge outcry against it. Did they ever stop to think maybe it was because Google actually gives you answers rather quickly instead of having to go through 4 or 5 different results when using Bing or Yahoo. 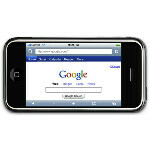 It's the search engine that the majority uses and the iPhone is a device that appeals to the masses. Tell the FTC to Google it. I use yahoo 99% for all my searches. Works for me. I have sports, news, movies, weather, etc, all in front of me with one click. Google, um nothing except a search bar. Google search is a fad and nothing more. I first used Bing middle of last year, and never left! I love the simple look and the clearner results! ......and I don't know why you find it funny! Why can't our stupid government stay out of everyone's business. Isn't it enough that we have to pay excessive FCC fees and surcharges and government taxes all of which go toward subsidizing a host of public assistance programs and welfare programs. iWould probably never buy an iPhone but, even if there were a remote chance that I might consider one, if it didn't have Google as it's search engine and was instead riddled with Bing (crap) iWould definitely NEVER buy anything with Bing. Or, just as bad, that "Ask Jeeves" crap. There's probably someone at the FTC getting some sort of kickback from MicroCrap by way of stock shares; that's really how our government works. iWish they would all just have an enima. cus people say "google it" not "bing it" d'oh!